Aloo Chana Chaat ( Potatoes & Chickpeas with Yogurt ) ... Boiled chickpeas, potatoes, boondi ( fried drops of gram-flour batter) with yogurt sauce. 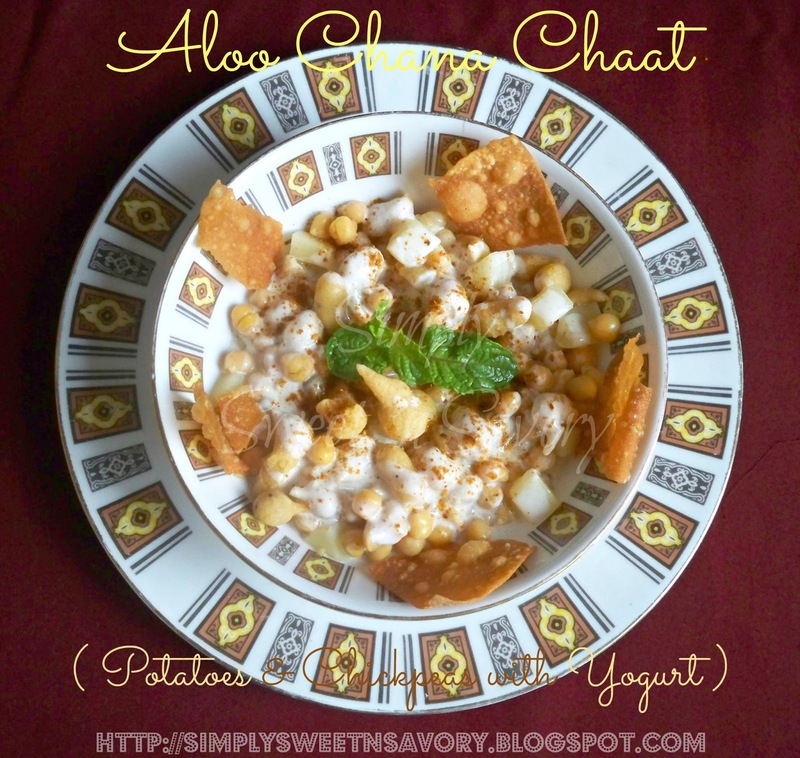 Serve this chaat as a light meal or a snack. Boil chickpeas in plenty of water until tender, but not mushy. Drain water & keep aside to cool. Peel the potatoes, cut in small cubes and boil in water until just tender, not mushy. Drain water & keep aside to cool. Meanwhile prepare boondi. 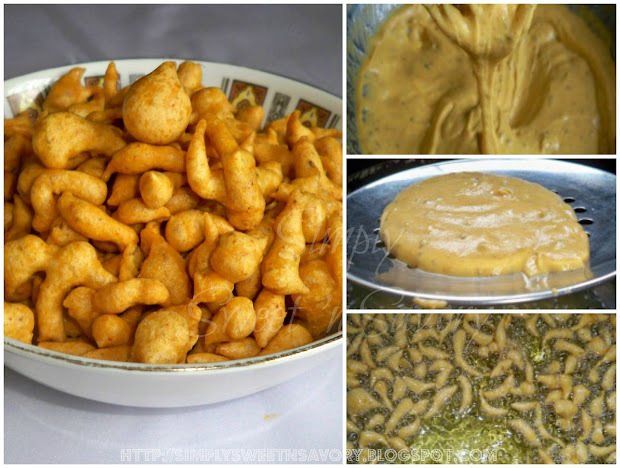 Combine all ingredients for boondi except water and oil in a medium bowl. Gradually add enough water to make a thick and smooth batter; whisk well to avoid any lumps. Leave to rest for 10 - 15 minutes. Heat oil in a wok or frying pan over medium high heat. Hold a perforated spoon or flat ladle with holes over wok with one hand and drop large spoonfuls of batter on the perforated spoon. Spread the batter with the back of the spoon or your hand in a circular motion; the batter will start dropping through the holes into the oil. Fry until the boondi is golden brown and crispy. Remove with a slotted spoon; immediately soak boondi in plenty of water for few minutes until softened. Take the boondi out of the water and press them gently between the palms of your hands to squeeze out the water. Keep aside. Continue this process with the remaining batter. To make quick papri, fry the samosa patti or spring roll wrappers in hot oil until golden brown. Remove with a slotted spoon and drain on kitchen paper. 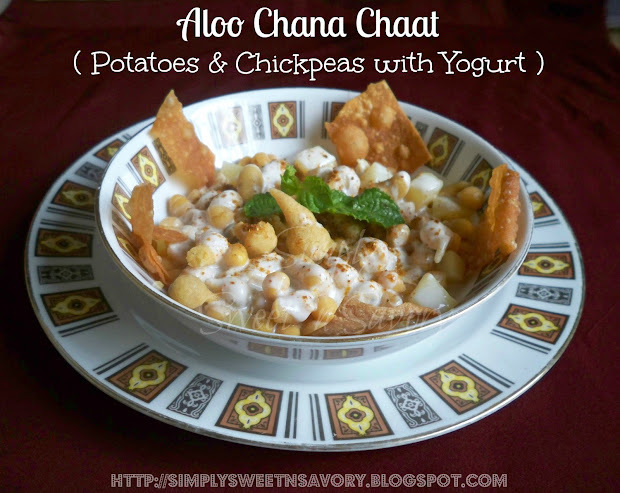 Combine chickpeas, potatoes, boondi, onion, cabbage and green chillies in a large bowl or serving dish. Whisk yogurt in another bowl with salt and red chilli. Add water or milk to make it a bit runny as the boondi absorbs liquid. Adjust seasoning. Pour over the chickpeas mixture and mix gently. Keep refrigerated until time of serving. Just before serving, sprinkle chaat masala, add sweet tamarind mint chutney ( optional ) and place papri on top. 100% chatpata chat. love it. 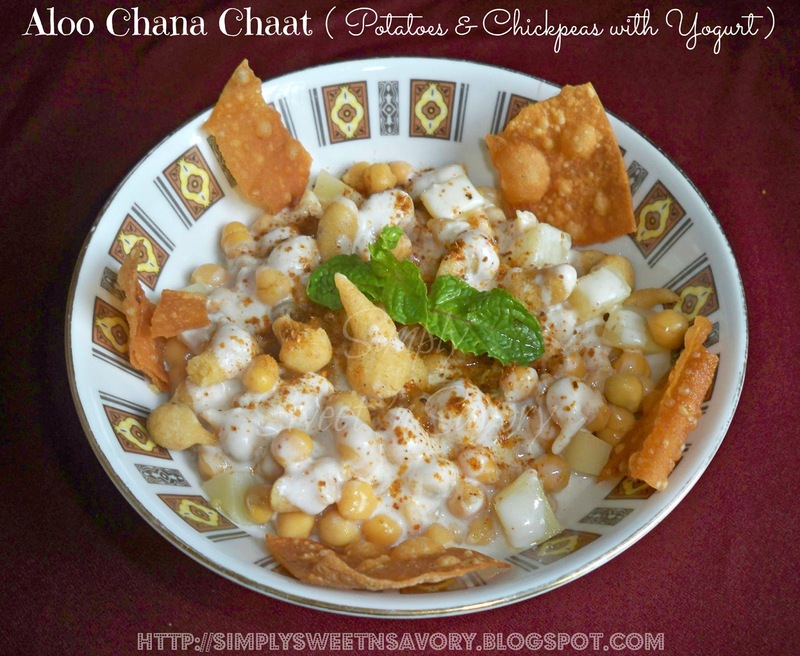 Love the channa chat.It is so funny how we fry the boodhi to make it crispy then let it absorb all the liquids :)Boondhi enlarged with full of flavors is actually the best part of it. Looks so yummy and mouthwatering chaat. Ths is one of my favorite dishes for iftar. I love the idea of using samosa patti for making quick papri. Perfect and healthy snack to munch!